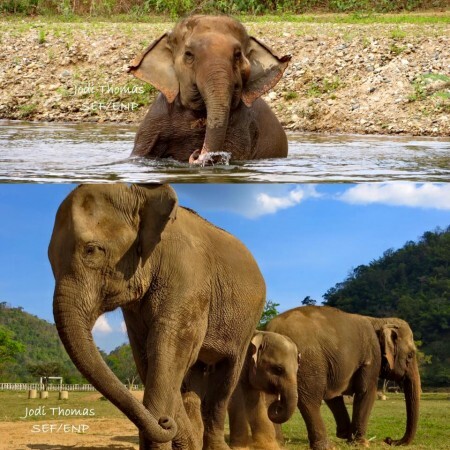 Elephant Nature Park, located in Chiang Mai, Thailand, is a sanctuary for distressed Asian elephants that have been rescued from exploitive industries such as logging, trekking, street begging and tourism. Our veterinary technician Caroline spent two weeks volunteering in their vet program in November, and it was truly a life changing, eye opening experience for her. Over the Christmas holidays, our staff decided to give back and come together as a team to sponsor two elephants for one year! This is Sooksai on the top and Saree on the bottom (she is on the left). Sooksai (meaning bright in Thai) was rescued from a trekking camp, and Saree (meaning freedom in Thai) was rescued from a life of street begging. Our sponsorship will help these beautiful girls receive the best food, shelter and medical care. The next time you visit our hospital, you’ll be able to see the wall display we’ve put up as well! 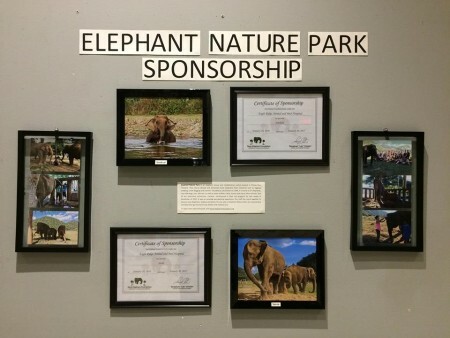 To learn more about the park, visit www.elephantnaturepark.org.